P was such a ham while taking these photos, I couldn't stop snapping. Waving and laughing at the daycare kids out for their walk, taking sips of her water and saying "MMMmmm" with the funniest face. This kid, man. And she was loving her water so much because it tastes like strawberries! 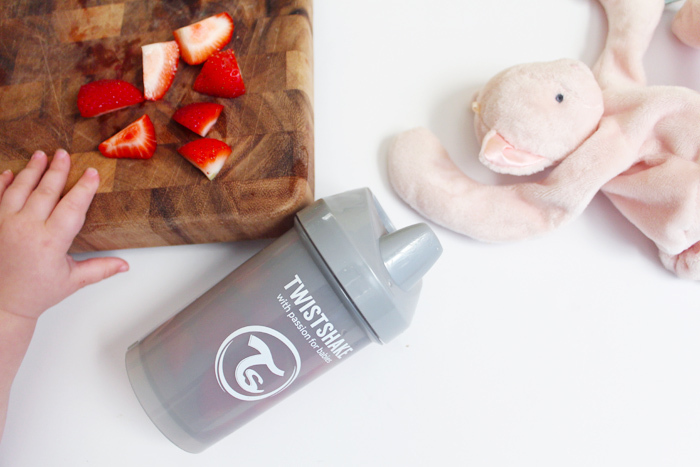 Have you heard about Twistshake? 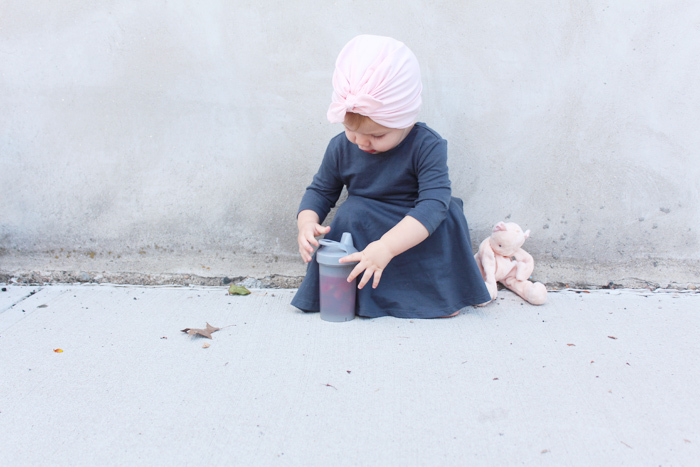 They make sippy cups in different sizes with a "fruit mixer" to infuse fruit into their water or milk. They also make bottles with a mixer net to catch and dissolve clumps. If you want to try one out, you can use discount code hollyjollydolly20 for 20% off. Subscription box c/o Bookroo, but thoughts are all my own. You know all of your beauty and food subscription boxes that you're obsessed with? Admit it, you are ;). Well did you know that there is a subscription box for your little ones too? If you haven't heard of it, it's called Bookroo, and they sends you a curated monthly collection of 2-3 books. You can choose board books or picture books, depending on what level your child is at (they even just added a junior box for ages 7-10!). 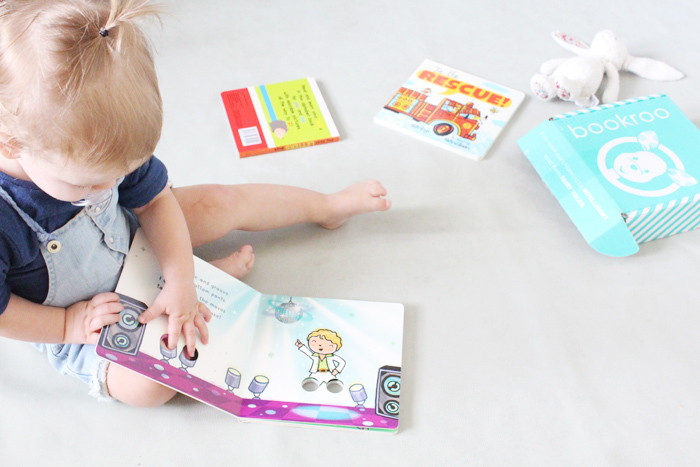 We all know reading with your babies is important, and Bookroo is making it so easy and simple to build their library. Not to mention, they go one step further and gift wrap each individual book. Because you know how much kids loose wrapping paper. Plus, it makes it more of a special event, having a gift arrive for them. Penny ripped these things open like it was her job. I'm pretty sure she'll light up when she sees the next box arrive. P.S - her favorite one from this month is the 'I Can Dance' book. She loves the little holes for her fingers. I can't wait to see what comes next month! Ok, so this post might be a little over due. When I was pregnant, I loved reading other blogger's baby essentials posts, and seeing what else everyone loved. It felt a little weird writing my own too soon, though. Being a new mom and everything. How much did I really know? 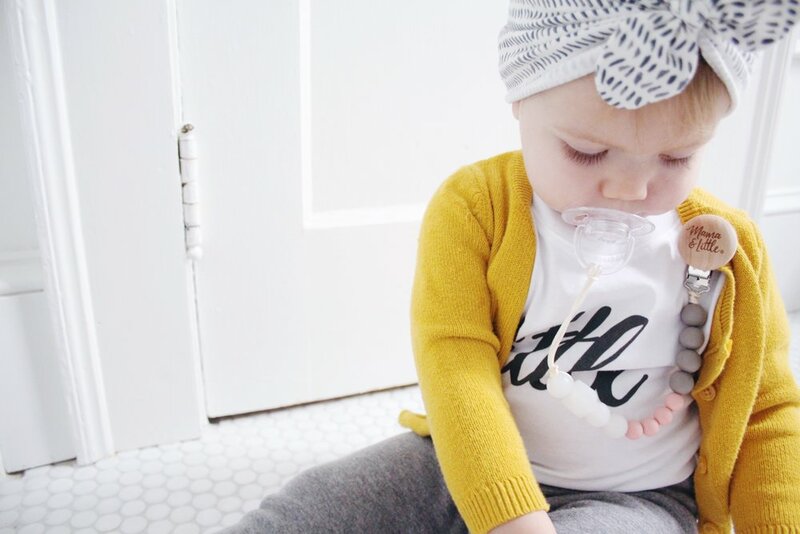 But now that I'm over a year in to this motherhood thing, I feel like I'm finally able to truthfully tell you what items we honestly couldn't live without during that first year. This list could be a lot longer. Of course you need a good carseat, stroller, swing, diapers (we love Target's Up&Up, btw) and a lot of other things. But these are the smaller items that have gotten so much use over and over during her first year (and some still!). And P.S - this is in no way a sponsored post. Just items that I really love <3. 1. & 2. Beaba Babycook and WeeSprout Reusable Pouches - I was determined to make P's baby food from then start, and this made it so simple. Even though she no longer needs purees as her main food source, I still use it almost daily to make smoothies and fill squeeze pouches. 3. Freshly Picked Moccasins - Obsessed. They were her first shoes, and still almost the only the only ones she wears. We've had other shoes for her from big name brands. But no shoes stay on her feet like these do. And they're soft soled, which is better for her developing feet. 4. Owlet Baby Monitor - this may actually be my #1 most recommended baby item. Love love love. They wear it on their foot and it monitors their oxygen level and heart rate while they sleep, setting off an alarm if their numbers get too low. P never had any scary sleep incidents, but that doesn't mean I didn't have some major anxiety about it. Especially with her sleeping in her own crib in a different room from so early on. She actually JUST stopped wearing it every night. 5. Nest Cam - Honestly, I've never tried any other baby monitors, so I can't compare. But we love our Nest Cam, and that we can access it from our phones and iPads. Wherever we are. When I was hospitalized last September and P was at home at night with Zach, I was able to tune into her bedtime routine from hospital bed and actually slept with my phone next to me with the camera pulled up. 6. Tubby Todd - P has some mild baby eczema that flares up every now and then. Their all over ointment helps with it a lot. We also use their every day lotion (omg smellsI so good), their hair and body wash, and their bubble bath. They just released bath bombs that I can't wait for P to try! 7. Mama & Little teething jewelry - P started teething early and chewed on eeeeeeverything. Some teething jewelry is kinda.... eh. 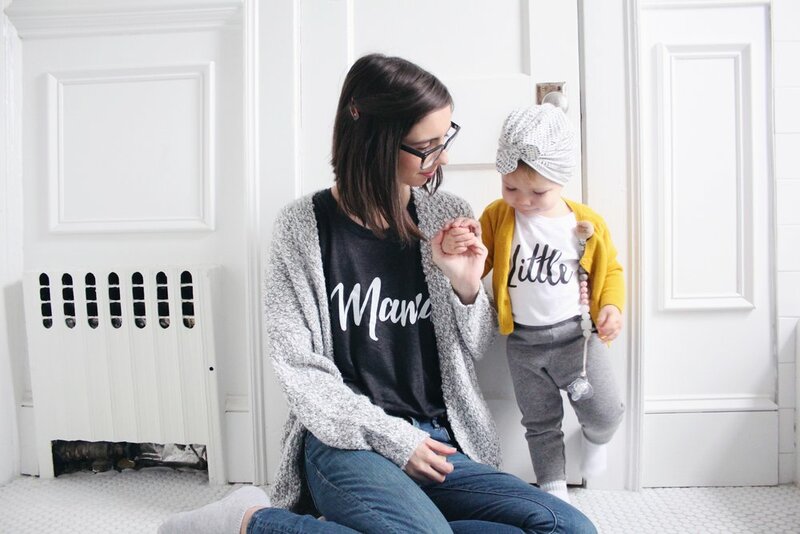 But Mama & Little's is so stylish. And i found myself wearing it even when P wasn't with me. 8. & 9. - Solly Baby Wrap and Sakura Bloom Sling - Baby wearing. A LIFESAVER. Seriously. I love wearing Penny. 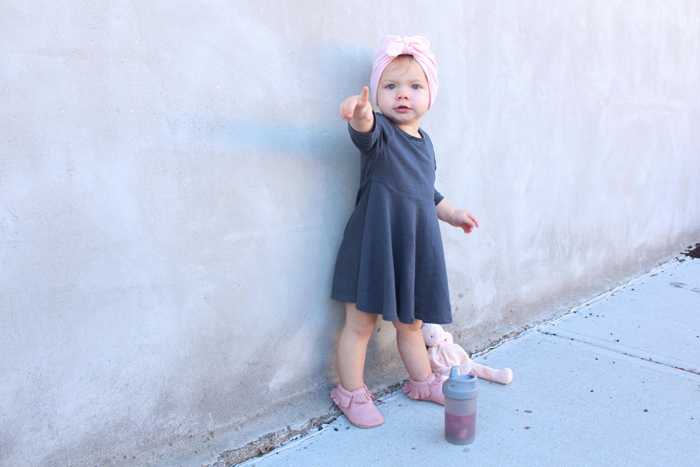 The Solly wrap was our go-to when she was smaller. I got the sling secondhand, and have been using it a lot now that she's bigger. We also have an Ergo carrier that gets a lot of use, too. 10. Nested Bean Swaddle - Penny was a little finicky when she was really small. She liked to be swaddled, but that little beast would break out of almost every swaddle and then get really mad. Except for Nested Bean. It was our go-to. And the weighted center that felt like a a parent's touch is a bonus. 11. Baby Deedee Sleep Sack - She's been in a sleep sack from the moment she outgrew the swaddle. She loves her Baby DeeDee (we use the lightweight one in warmer months, and the heavyweight one in winter). But Nested Bean makes a sleep sack tonal would love to try that as well! 12. Gathre Mats - these things are genius. We have a medium mat that we take with us everywhere, from the park to the beach to camping, etc. As well as a high chair mat for underneath her chair. Water just rolls right off, and they wipe up and clean up so easily. 13. Comotomo Bottles - I know this is one of those things where every baby is different. There are a lot of different options out there and different babies take to different bottles. P would only take to these ones. I would recommend giving them a try if you're trying to find the right one for your baby! 14. & 15. - Muchkin 360 cup and Lollaland Lollacup - P didn't really like sip cups at first, until we tried the 360 cups and now she's hooked. 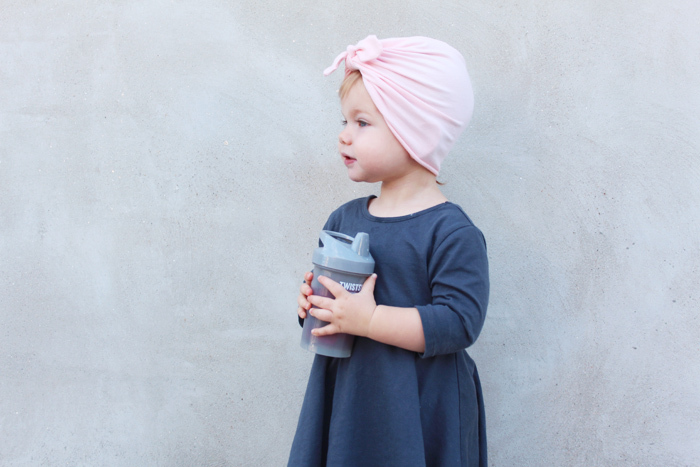 They don't spill, and she'll be better prepared when its time to drink out of a regular cup. And The Lollacups we use for her smoothies. They're so cute! Plus the two-part straw is weighted and easy to clean.